The Way Up Conference Thanks You for your Sponsorship! of the people we serve. Buena Vista University's Mission Statement: We develop students for life long success through innovation and imaginative academic and professional preparation. The Iowa Coordinating Council for Post High School Education is composed of representatives of the Presidents and Trustees of public and private colleges and universities in the State of Iowa. In addition, the Iowa College Student Aid Commission, the Iowa Department of Education, and Iowa Public Television are members. Mission: In pursuing its missions of teaching, research, and service, the University seeks to advance scholarly and creative endeavor through leading-edge research and artistic production; to use this research and creativity to enhance undergraduate, graduate, and professional education, health care, and other services provided to the people of Iowa, the nation, and the world; and to educate students for success and personal fulfillment in a diverse world. Mission: Create, share, and apply knowledge to make Iowa and the world a better place. We must prepare the leaders of our nation and the world. To make the world a better place, Iowa State will call upon its great strengths in student-centered education, global collaboration, and transformational basic and applied research. Iowa State will lead in developing more sustainable ways to produce and deliver safe and nutritious food, water, materials, and energy; integrate the protection of plant, animal, and human health; and care for our environment. We will design tools and infrastructure that will create entrepreneurial opportunities. The major changes sweeping the world are creating extraordinary opportunities for Iowa State to capitalize on its land-grant mission and be at the forefront in addressing our common, global challenges. Mission: The University of Northern Iowa provides transformative learning experiences that inspire students to embrace challenge, engage in critical inquiry and creative thought, and contribute to society. Mission Statement: Allen College is committed to preparing exceptional healthcare professionals through educational programs of excellence; to developing and sustaining a diverse community of learners, faculty, and staff; and to promoting community service, scholarship, and lifelong learning. Mission Statement:Central College is a residential liberal arts college dedicated to helping students discover and develop their greatest potential. Guided by its ecumenical Christian tradition, the college community engages in vigorous, open inquiry in pursuit of academic excellence. The College nurtures the development of the mind, while fostering spiritual and emotional maturity and physical well-being. Central integrates career preparation with the development of values essential to responsible citizenship, empowering graduates for effective service in local, national and international communities. 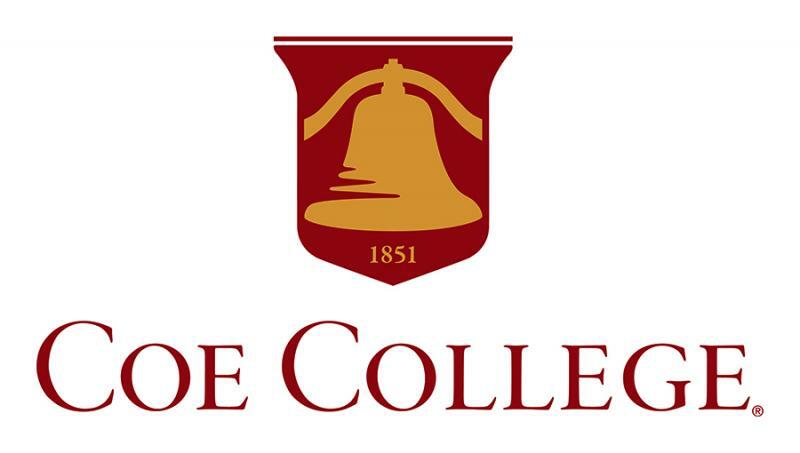 Mission Statement: It is the mission of Coe College to provide students an education of superior quality that aims at preparing them for life following graduation. Our reason to exist as an institution is to ready students intellectually, professionally, and socially to lead productive and satisfying lives in the global society of the 21st century. As such, our success as a College will be measured according to the success of our graduates. Mission Statement: When Grinnell College framed its charter in the Iowa Territory of the United States in 1846, it set forth a mission to educate its students "for the different professions and for the honorable discharge of the duties of life." The College pursues that mission by providing an education in the liberal arts through free inquiry and the open exchange of ideas. As a teaching and learning community, the College holds that knowledge is a good to be pursued both for its own sake and for the intellectual, moral, and physical well-being of individuals and of society at large. The College exists to provide a lively academic community of students and teachers of high scholarly qualifications from diverse social and cultural circumstances. The College aims to graduate individuals who can think clearly, who can speak and write persuasively and even eloquently, who can evaluate critically both their own and others' ideas, who can acquire new knowledge, and who are prepared in life and work to use their knowledge and their abilities to serve the common good. Mission Statement: DMACC provides quality, affordable, student-centered education and training to empower Iowans of all ages and backgrounds to pursue life's opportunities and achieve their career dreams. Mission Statement: The Eastern Iowa Community Colleges deliver high-quality education and training that prepare a skilled workforce, provide affordable access to higher education, and build and strengthen our communities. The Eastern Iowa Community Colleges will be the first choice for education, training, and partnerships that strengthen Eastern Iowa. Mission Statement: Hawkeye Community College is a globally informed community of successful lifelong learners. Hawkeye Community College will be recognized for educational excellence, exceptional student services, and responsiveness to diverse communities. Mission Statement:Indian Hills Community College changes lives by inspiring learning, diversity, social enrichment, and regional economic advancement. Mission Statement: Iowa Central Community College promotes intellectual discovery, physical development, social and ethical awareness, and economic opportunities for all through an education that transforms lives, strengthens community, and inspires progress. Mission Statement: To provide opportunities for quality lifelong learning and promote economic development for our communities. Campuses in Algona, Emmetsburg, Estherville, Spencer and Spirit Lake. Mission Statement: Iowa Valley Community College District is committed to providing quality learning experiences, ensuring student success, responding to diverse community needs, and building community partnerships. Mission Statement: Iowa Western Community College is a learning community committed to excellence in meeting educational needs and improving the quality of life through programs, partnerships and community involvement. Mission Statement: The mission of the North Iowa Area Community College is to enhance the quality of life for people of North Iowa through comprehensive educational opportunities, progressive partnerships, exemplary service, and responsive leadership. Mission Statement: Northeast Iowa Community College provides accessible, affordable, quality education and training to meet the needs of our communities. Mission Statement: Northwest Iowa Community College is a progressive learning college rapidly responding to the changing needs of our global community. Mission Statement: Southeastern Community College provides accessible, quality programs and services which promote student success and economic vitality. Southeastern Community College, a visionary leader in lifelong learning, embraces diversity, transforms lives, strengthens communities, and inspires individuals to excellence. Purpose Statement: Southwestern Community College exists in order that Area XIV community members have opportunities to gain skills and knowledge sufficient for successful employment, higher education achievement, or adult and continuing education. Mission Statement: As a comprehensive community college, our mission is to provide quality education and to economically enhance the communities we serve.